Billy Butler, the longest-tenured member of the Royals’ roster, finally got to experience a postseason run with the team after years of false hope and a near-miss. However, the team bought out Butler’s $12.5MM club option, so “Country Breakfast” may be looking for a new home coming off a disappointing season. Even in a down season, Butler hit .271 with a .323 on-base percentage. Both marks are better than the league average for hitters, and he’s typically posted significantly better marks. In the four years prior to 2014, Butler’s average sat between .289 and .318, while his OBP sat between .361 and .388. A lifetime .295/.359/.445 hitter, Butler has always been a good source of average and OBP. Butler has a pair of 20-homer seasons under his belt, including a 29-homer campaign as recently as 2012. From 2008-13, he averaged 18 homers per season despite playing his home games at the very spacious Kaufman Stadium. It’s not unreasonable to think that moving to a smaller park that is more hitter-friendly would up his home run production. At just 28 years of age (29 next April), Butler is among the youngest free agents on this year’s market. He’s also been highly durable, never having been placed on the disabled list and averaging 158 games per year over the past six seasons. His age and spotless injury history make it easier to write off his 2014 slump as a fluke than if he were on the wrong side of 30 with a troublesome injury history. Butler rarely strikes out (14.5 percent for his career, 15.9 percent in 2014), and his 82.5 percent contact rate in 2014 was well above the league average. His deflated numbers seem mostly attributable to a dip in his batting average on balls in play and a sharp drop in his homer-to-flyball ratio. Players rarely see their power disappear at Butler’s age, giving further reason to hope for a rebound. His numbers were better from June 1 through season’s end — .282/.333/.417 — and he wasn’t the recipient of a qualifying offer. While Butler’s career marks are solid, there’s no getting around the fact that he was a full-time designated hitter who didn’t hit well in 2014. Butler finished the season with below-average marks in context-neutral stats like OPS+ (95) and wRC+ (97). While even those marks would be an improvement over some teams’ DH production from 2014, it’s tough to market a below-average bat as a full-time DH. Agent Greg Genske of the Legacy Agency will need to emphasize Butler’s track record of solid production and paint 2014 as an aberration. Most will see Butler as a strict DH at this point. He’s totaled just 623 1/3 innings at first base over the past four seasons combined, and he’s never graded out as a plus defender at the position. Unsurprisingly, he’s also been about five to six runs below average per season on the basepaths, according to Fangraphs. While Butler has historically been a solid contributor in terms of average and on-base percentage, his 6.8 percent walk rate in 2014 was a career-worst. And, he’s never shown the plus power that one would ideally prefer to see from a full-time DH. He did post a .197 isolated power mark in his 29-homer season in 2012, and he registered a .191 mark in 2009 when he hit 21 homers and 51 doubles. Still, even excluding his down 2014 season, Butler has a .161 career ISO, which is more good than great. Butler and his wife, Katie, have two children. Together, the couple started the Hit It A Ton hunger relief campaign in which Butler donated $250 for every homer he hit and $125 for every double he hit — money that he urges fans and businesses to match, with the proceeds going to the Bishop Sullivan Center and St. James Place in Kansas City. Butler is well-liked by teammates with the Royals. Raul Ibanez described Butler as “fun-loving” to Tyler Kepner of the New York Times this October. Butler is popular among Kansas City fans and drew high praise from manager Ned Yost for his intelligence and professionalism, per MLB.com’s Phil Rogers. Because he’ll most likely be viewed strictly as a designated hitter, Butler’s market should be confined to American League clubs with openings at DH (though one report did note that an NL club showed interest). That would seem to eliminate the Red Sox (David Ortiz) Tigers (Victor Martinez) and Yankees (Alex Rodriguez/Carlos Beltran). The Twins (Kennys Vargas) have a younger option at DH as well. The White Sox, Mariners and Blue Jays were all linked to Martinez, so they stand as reasonable fits for Butler, who could be seen as an alternative. Seattle has been linked to Butler on the trade market in each of the past two offseasons. The Indians received some of the worst production in baseball at DH last year, so they seem like a fit if they’re able to move Nick Swisher or are comfortable playing him in right field (with David Murphy slotting into a reserve role or being traded). The Angels make sense if C.J. Cron’s OBP woes are enough to instill doubt. 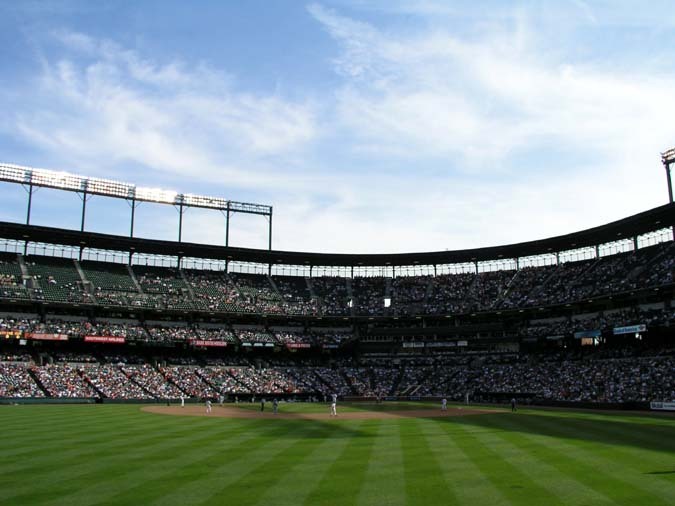 Baltimore, too, could be a good fit if Nelson Cruz walks, and the A’s don’t have a set DH either. Of course, Butler has been vocal about his desire to remain with the Royals, and a return to Kansas City certainly cannot be ruled out. He’d have to settle for a lower annual value than that of his $12.5MM club option, however. The two sides have reportedly already had at least one meeting, with the Royals said to prefer a two-year deal. Lengthy multi-year deals for strict DHs tend to be reserved for elite bats coming off strong seasons, but Butler is younger than the typical free agent. Age is one of the primary factors on the open market, and it’s for that reason that I can envision him landing a few multi-year offers. I can see Butler taking a one-year deal with a solid annual value if no multi-year deals that his camp deems acceptable materialize, but I can also see him receiving a three-year pact at a smaller AAV. Overall, Butler’s been a plus hitter in a large park with just one below-average offensive season under his belt dating back to 2009. A one-year deal worth $12-13MM or so might be on the table, but I can also see three-year offers from a team that feels he can return to his ways as a strong OBP source with respectable, albeit non-elite pop. Rumors circulated last week that the Orioles had made a three-year, $30MM offer to Butler, although GM Dan Duquette steadfastly denied that report. That figure is one of many that I’d kicked around with Tim Dierkes of MLBTR prior to the GM Meetings. If he’s truly received an offer in that range and not accepted, then perhaps this prediction will be inaccurate. But a three-year, $30MM contract was my previous expectation, and I’m sticking to that pick. Pretty much, Adam Lind got the Jays a #5 starter/longman and he’s a guy who’s hit .310+ vs RHP the last two seasons. Butler is also a pretty useless bat vs RHP, at least in 2014. Not too many teams are willing to play someone to put up a .250/.301/.352 line vs RHP as an everyday DH. Especially one that doesn’t run well and makes $10M. Why not? Teams are playing with Monopoly money, and $10MM AAV is fair if he’s able to come close to his ’13 and ’12 production. It’s interesting they cite a down year in 2014 as the only weakness. I’m seeing how many double plays he hit into, his defensive liabilities (although overstated in some circles) and he has no speed (clogging the bases). IMHO, he is a one-tool player of five tools. If you read his weaknesses, Steve touched on all of those. Double plays and doubles. His doubles have dropped. In his best year he hit 51, that was 2009. Last year he hit 27 and this year 32. Butler posted a .250/.301/.352 line vs RHP in 2014. 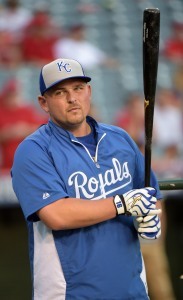 I am still a fan of Billy Butler. I am still of the thinking he could be an elite hitter and an average fielder. I am still hoping the O’s can get him. The O’s need to do some tweaking and Butler would help that effort. Buter has lost 185 points in OPS over the last 2 years. It wasn’t a bad 2014. He still had a 116 OPS+ / 117 wRC+ in 2013, however. Offense as a whole is down around the league, so strictly going by OPS paints a skewed picture. He was a well-above-average bat in 2013. Down from 2012, certainly, but still quite serviceable. Doesn’t OPS+ take into account offense going down around the league, though? Dude’s gone from 138 to 116 to below league average last year at 95. Considering he’s a DH and the only thing he does is hit, you’d be taking a gamble signing him to anything more than a one year deal for $10-12MM. The Royals turned down 1 year, $12.5MM on him even though he’s a fan favorite. I don’t see others ponying up two more years at a similar AAV for him. Also of note is that his BABIP didn’t dip big or anything. As a Tigers fan, I pray he doesn’t sign with an AL central team. This guy always kills Tiger pitching for some reason! Butler, a pure DH coming off the worst offensive season of his career, seems like a prime candidate to sign a 1 year pillow contract. What’s funny to me is that Butler is basically Freddie Freeman. Freeman is a career .286/.366/.465 hitter compared to Butler at .295/.359/.449 and if you take away his down year last season, they’re essentially the same player on offense. Butler strikes out less than Freeman as well. Freeman has posted negative defensive WAR numbers and he’s already at -4.1 dWAR and his defense last season was an abysmal -2.0 dWAR. So, it’s not like he’s a gold glove winner at 1B compared to Butler… The Braves gave Freeman a ridiculous extension and Butler is basically having to settle for a good, but not great contract. Kinda sheds some light on the issues the Braves are having. They extend a no power, high strikeout 1B with no defense and let the 3rd most valuable OF in the NL (Heyward 6.4 WAR) go in a trade for a one pitch pitcher and a guy who’ll probably never pitch in MLB. Wow.